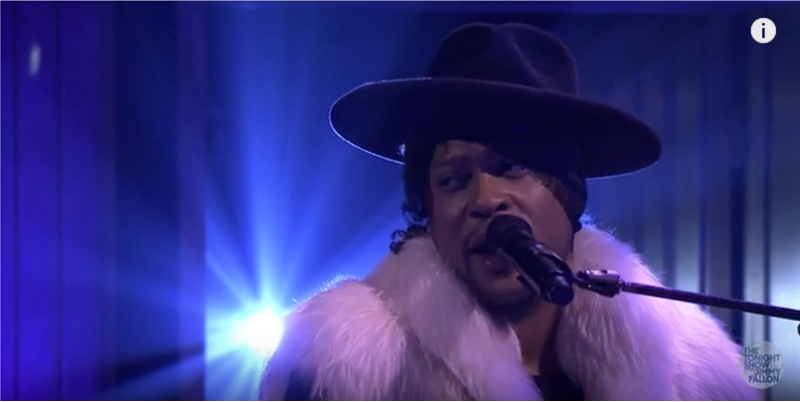 D’Angelo performed “Sometimes It Snows in April” on Tuesday’s episode of The Tonight Show, in which he was joined by Maya Rudolph and Gretchen Lieberum’s Prince cover band, Princess. D’Angelo, who has been a Prince fan since he was five years old, became emotional during the performance. 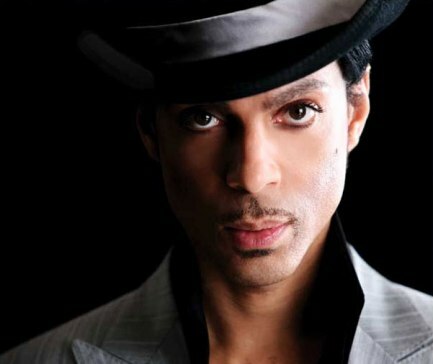 Prince will receive the royal treatment this month at the 10th annual BET awards. He will be honored with a lifetime achievement award at the event in Los Angeles on June 27. “Prince is dynamic. Prince is genius. Prince is music,” said Stephen G. Hill, BET president of programming, music and specials. The 52-year-old performer has garnered 10 platinum albums and 30 Top 40 singles. Previous BET lifetime honorees include: James Brown, Whitney Houston, Diana Ross and Al Green. Queen Latifah will host this year’s event. Kanye West will also perform. Prince celebrated his 52nd birthday Monday by releasing a new track, “Hot Summer” to Minnesota public radio station, the Current. 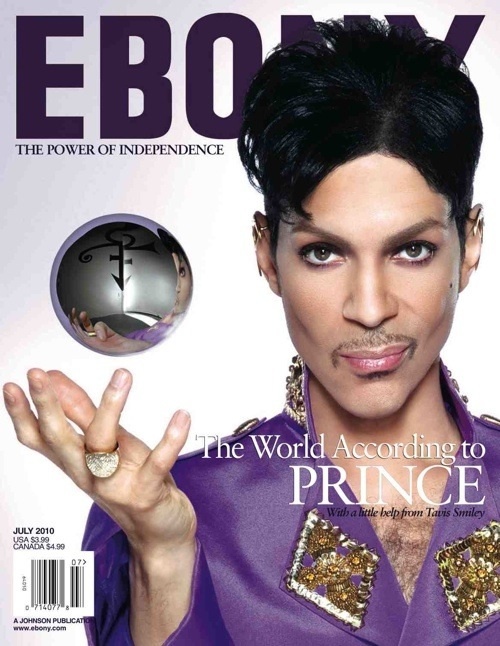 The Purple One is also featured on the July cover of Ebony magazine where he discusses being a Jehovah’s Witness and his love life. In other Purple news,the funk band The Time fronted by Morris Day, will be releasing a new album this year, Billboard reports. The group is currently on the four-date Stingy Tour, which ends with a homecoming show on June 13 in Minneapolis. After seeing the Minnesota Vikings play the Dallas Cowboys, Prince said he was inspired to write the song, “Purple and Gold.” The song is for the Vikings game against the New Orleans Saints, reports myfoxtwincities.com. It will also be featured on the team’s website. Check it out and see the lyrics below. Prince said recently on the PBS series, “Tavis Smiley,” that he turned down a million-dollar deal with the makers of the popular video game,”Guitar Hero,” to feature his music. “I just think that it is more important that kids learn how to actually play guitar,” Prince said about his decision. Prince also discussed how music helped him during his childhood. Beginning March 25, Prince will appear four straight nights on “The Tonight Show with Jay Leno,” reports Billboard. His performance preludes his triple CD set release on March 29, which will be sold at Target for $11.98. On March 29, Target shoppers can pick up Prince’s new three CD set, reports the Associated Press. For $11.98, the set will include two new albums — “LOtUSFLOW3R” and “MPLSoUND” –and a third by his new artist, Bria Valente. 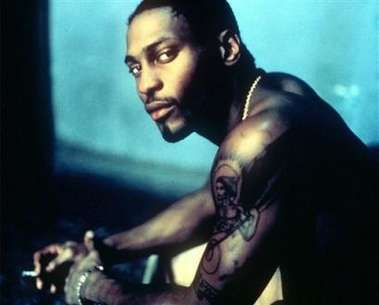 Will D’Angelo work with Prince on his new album? D’Angelo’s new album is set to be released this summer, but it is unclear whether Prince will be a collaborator as earlier reported by Suite 411. Gnarls Barkley’s Cee-Lo Green, Raphael Saadiq, Q-Tip and Roy Hargrove will work with the R&B singer on his album since 2000. 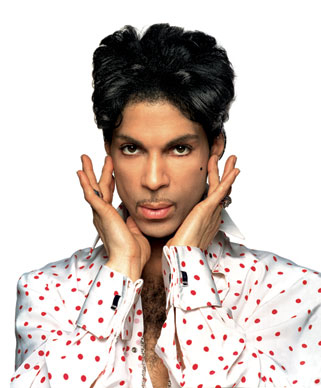 Prince will release three new albums this year, according to the Los Angeles Times. The first CD tentatively titled, “MPLSOUND,” will feature “trippy, experimental poppy songs,” including a song with rapper Q-Tip. Keisha Chante, a Canadian R&B singer, will portray Aaliyah in a biopic movie said BET.com. It is scheduled to be released this year and will highlight the late singer’s life from childhood to her untimely death in a 2001 plane crash.